Classroom Judo is the leading provider of school based Judo for the North West and Cheshire run by Jess, a former England Judo team member. 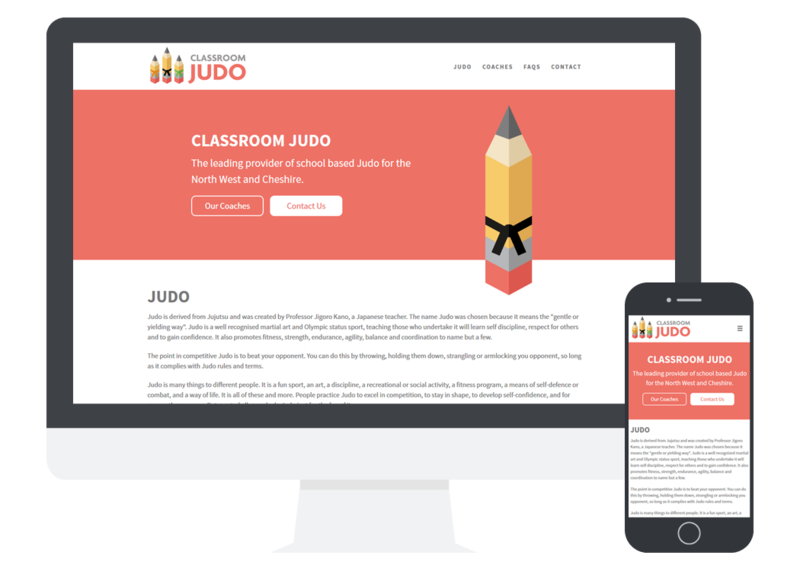 Classroom Judo came to me needing a website, logo and an array of printed materials such as certificates. They needed a page where parents and schools could learn about their services and the coaches providing the training. I worked with Jess from Classroom Judo and created a strong brand and easy to use website. The branding was used on varied promotional materials including hoodies, sweatshirts and bags.